Mon - Fri 6:30am - 5:30pm (Pacific Time). Calling from outside the US or Canada? Ordering from NOVICA is easy! Once you find an item you would like to purchase, simply click the "Add to Cart" button in that product's description page. You can check the contents of your shopping cart at any time by clicking the "Cart" button at the top of the page. If you decide to remove an item from your cart, just click "Delete" to the right of the product you would like to remove. You can also adjust the quantity of any product in your shopping cart. To do this, type in the new quantity and click on the "Update Quantity" button at the bottom of the shopping cart page. Assuming the quantity you have requested is available, you will now see the adjusted quantities as well as your new subtotal (if you enter a quantity that is greater than the quantity available, your purchase quantity will reflect the maximum quantity available). If you placed an order more than 10 days ago and would like to find out the status, please send an email to orders@novica.com and include your name, order number, and email address. A member of our customer service team will reply with information about your order, such as if it has been shipped, when it was shipped, or when we expect it to be shipped. 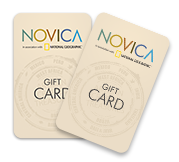 NOVICA accepts payment by credit card (Visa, MasterCard, American Express or Discover), either online through our secure server or by phone. We also accept payment by PayPal ; orders placed using these payment methods must be placed online through our secure server. If you are paying via credit card and would prefer to place your order over the phone, please contact a member of our customer service team toll-free at 1-877-2-NOVICA (1-877-266-8422) or 001-210-247-2790 (Outside the US or Canada). Please note that credit cards will be charged only after an order has shipped from our fulfillment center, although an authorization will be obtained at the time the order is placed. On average, orders arrive to the destination address in 2-3 weeks. The delivery time will depend primarily on two factors: item availability and shipping service. Unless otherwise noted, all items available for purchase on the website are in stock. Items that are backordered contain a note indicating this fact as well as the expected delivery time frame. During checkout, we will show you a list of available shipping services and their corresponding prices and timeframes. You may also view shipping charges and timeframes through the "Calculate Shipping" link in the shopping cart. Note some items carry a special delivery timeframe that may differ from that of other items from the same region -- these items are clearly labeled with the special timeframe on the product detail page (as well as in checkout). If we determine that we will not be able to deliver an order within the promised timeframe, we will immediately contact you via email. Refunds will be available for up to 60 days from the day you receive your order. You must request a Returned Merchandise Authorization (RMA) number during this 60-day period to qualify for a refund. To request an RMA number, please log in to your myNOVICA account, visit the Orders &Returns section, and locate the order that contains the item(s) you would like to return. If your return is in any way a result of an error by NOVICA, we will provide you with a prepaid return label and will happily refund all applicable shipping costs paid on the product(s) you are returning. If the return is not the result of an error by NOVICA, you will be responsible for all shipping and gift box costs incurred for the order and any costs associated with returning the item(s). Please send your return using a reliable carrier that offers tracking (such as UPS, FedEx, or Priority Mail). It is strongly recommended that you insure the package, as you will be responsible for ensuring that all items arrive at the returns center in their original condition. IMPORTANT NOTE: Refunds will not be issued if the returned products have been damaged or altered in any way before arriving at the Returns Center. No refunds will be available after the 60-day returns period has expired. Your order request is promptly sent to our international fulfillment center(s) in the region(s) from which you have ordered. Therefore, it is generally not possible to cancel or modify an order once it has been submitted. However, if your order has not yet been shipped and you need to cancel or modify it, please contact us at service@novica.com and we will determine if it will be possible to halt the fulfillment of the order. Please note that no order may be canceled or modified once it has been shipped. In those cases, you may follow the return instructions if you decide not to keep the product after having received it. 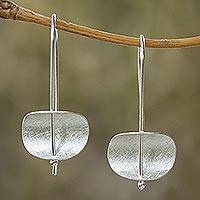 Product pricing error: Because NOVICA offers a large array of items, a product may on occasion be listed with the incorrect price. If a product is purchased at a price that is lower than the correct price, we will, at our discretion, contact you for instructions prior to shipping the order or notify you of the outright cancellation of the order. In the event that the correct price should be lower than the price paid, we will adjust your charge and give you the lower price. Misuse or abuse of a gift certificate or promotion code, including any action prohibited by or in violation of the terms and conditions of that particular code. If you are unsure of the terms and conditions of a certain code, please contact us at service@novica.com prior to placing an order. Billing information provided for the credit card does not match the information on file with the card issuing bank. Credit card declined by the financial institution. Do the prices on your items change? Price fluctuation occurs primarily because NOVICA products are available direct from our global offices and therefore foreign currency fluctuation impacts their price in dollars. These changes are typically very small -- however, in the case of large currency movements, the price swings can be noticeable. Another factor in price fluctuation is that artists have control over their pricing and can change their prices based on the supply and demand of their products. NOVICA accepts payment by credit card (Visa, MasterCard, American Express or Discover), either online through our secure server or by phone. We also accept payment by PayPal; orders placed using these payment methods must be placed online through our secure server. If you are paying via credit card and would prefer to place your order over the phone, please contact a member of our customer service team toll-free at 1-877-2-NOVICA (1-877-266-8422) or 001-210-247-2790 (Outside the US or Canada). Please note that credit cards will be charged only after an order has shipped from our fulfillment center, although an authorization will be obtained at the time the order is placed. If for any reason you feel uneasy about placing your order online, please call us to place your order by phone. If you pay by credit card, an authorization will be obtained when you place your order, and the card will be charged once your order has been shipped from our fulfillment center. If you ordered from multiple regions, your card will be charged separately for each region as each part of your order is shipped. Sales tax will be collected on all orders being shipped to California, Missouri and Texas. If you will be required to pay sales tax on one or more items, you will be alerted during Checkout before you submit the order. Most items at NOVICA will ship direct to you from one of our international fulfillment centers. Shipping times do vary between different NOVICA regions, so be sure to carefully review the shipping options available for your country when selecting your shipping service. Where multiple shipping options are available, we will indicate the corresponding price and delivery timeframe for each service. Orders containing more than one item from a single NOVICA region will be shipped once all items from that region are ready for shipment, unless otherwise specified at the time you place your order. Yes, in many cases we are able to ship to a PO Box. Most orders with Normal shipping can ship to a PO Box, whereas orders with Expedited or Express service typically require a physical address, as those orders will be delivered by UPS, DHL, FedEx or a similar courier. We will alert you during the checkout process if one or more of the items in your order will require a physical address, based on your selection of shipping service. Yes, in many cases we are able to ship to APO/FPO/DPO addresses. Most orders with Normal Shipping can ship to such an address. We will alert you during the checkout process if one or more of the items in your order is not eligible for delivery to the APO/FPO/DPO address provided. Please note that expedited delivery services are not available for APO/FPO/DPO addresses, and that actual delivery time may exceed the timeframe quoted for some overseas destinations. I shipped my order to the wrong address. Can you reship my package? The fee will consist of a $5.00 handling charge plus any applicable costs related to re-routing, forwarding, or redelivering the parcel(s). Please note that there is no charge for address changes that are made before an order is shipped. Can I ship my order outside of the USA? NOVICA is proud to offer shipment of most items to over 100 countries around the world. 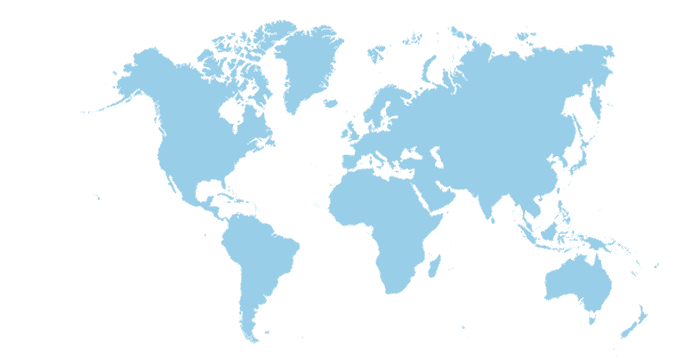 For a complete list of countries we currently serve, please view our International Shipping Table. Please check with the Customs bureau in the destination country if you are unsure about any commodity-specific import regulations or restrictions that might affect your shipment. A few of the country-specific import restrictions known to affect items sold at NOVICA include, but are not limited to: (a) all jewelry items being shipped to India or France (for France, only the Standard service can be used for jewelry items); (b) all items being shipped to Australia or New Zealand that contain natural fibers (including bamboo, coconut, straw, and cane), potpourri, or animal parts (including hide, bone, and horn). NOVICA cannot be held responsible for any items quarantined, destroyed or otherwise not delivered as a result of an import restriction in any country other than the USA. For information on possible duty/tax on orders shipped to a country other than the US, please click here. Please note: certain large or oversized items, including some furniture, are only available for shipment to the 48 contiguous U.S. states. Will I be charged if I refuse my order? Please note a $25 fee (per package) will be assessed for all refused shipments. In addition, the customer will be responsible for any return shipping charges assessed by the courier. For international (non-USA) deliveries, the customer will be responsible for any duty/VAT/import charges on refused or unclaimed shipments, in addition to return shipping costs. Shipping costs are not refundable on refused or unclaimed shipments. Please note a $15 fee (per package) will be assessed for all shipments that are re-routed or returned to NOVICA by the carrier. This fee is separate from the re-shipping fee, which is required before packages can be re-shipped. Will I have to pay taxes and duties on my order? NOVICA will cover all duties and import taxes for customers in the United States. Orders being shipped to addresses outside of the United States may require the recipient to pay duties upon delivery, depending on the shipping service that has been selected. During the checkout process, customers will be shown the available shipping services for their country for the specific item(s) being ordered. Each service option will clearly indicate if duty and tax will be due at the time of delivery, or if it will be pre-collected by NOVICA at the time of purchase -- in which case no further payment will be due for duty or tax once the order has been submitted. For gifts and for orders being sent to a country other than your country of residence, we strongly recommend that you select a shipping service with all duty and tax paid in advance to prevent any delays in delivery or inconvenience to the recipient. Customers outside the United States who select a shipping service with duty and tax due at the time of delivery are encouraged to contact their local courier or customs bureau to inquire about possible import taxes and fees. NOVICA cannot be held responsible for import charges imposed by the courier and/or the local government on orders delivered to countries other than the United States. Please note that while we will declare orders containing a gift message as "Gifts" on the Customs declaration, we cannot honor any requests to alter the declared value for an order. When should I order to guarantee delivery on or before Mother's Day? 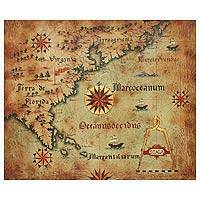 This varies according to the region from which you are purchasing, and the shipping service you select. How do I tell which items are guaranteed to arrive on or before Mother's Day? We mark every item that is guaranteed for delivery on or before Mother's Day with a bow. Items marked with a red bow are guaranteed with Normal Shipping option whereas items marked with a blue bow are guaranteed with premium shipping only. If an item on the web site is not marked with a bow, it is not guaranteed for delivery on or before Mother's Day. Will I receive items marked "coming back" on or before Mother's Day? Although most backorders are fulfilled within 2 to 8 weeks, and we make every effort to get your order out to you as soon as possible, there are occasionally circumstances beyond our control that may result in a longer delivery time frame. You can always contact NOVICA Customer Service to inquire about the current status of your order. Will my order be delayed if it includes a back-ordered item? As we cannot guarantee a pre-Mother's Day delivery for back-ordered items, we advise that you do not include them in the same order as items you want guaranteed for delivery on or before Mother's Day. Will my order be delayed if it includes items without the red bow? If your order contains items that are no longer showing a red or blue bow... then these items (provided they are not back-ordered items) will not delay the timely delivery of items that ARE marked with a red or blue bow at the time you place the order. In this case, your order will arrive in separate packages on separate days. What happens if an item marked with a red or blue bow arrives after Mother's Day? In the unlikely event that we should fail to deliver a guaranteed order on or on or before Mother's Day, we will refund the shipping costs associated with that portion of the order and provide you with a NOVICA gift certificate with a minimum value of $10.00 and a maximum value of 25% of the order total or $50.00, whichever is less. Please allow 5 to 10 business days for issuance of the credit and gift certificate. All requests related to compensation for delivery guarantee failure must be made within 2 weeks after the guaranteed delivery date either by writing to us at service@novica.com or by phone at 1-877-2-NOVICA (1-877-266-8422). My order was placed well before Mother's Day - will it arrive before then? Depending on the shipping service you selected, and the day on which you placed your order, it is very possible that your items will arrive well before Mother's Day if you have ordered in advance of the shipping cut-off date for your items. Will the item I ordered be gift-wrapped? Many gift items come with free gift wrapping. We indicate on the item detail page (the page where the add to cart button shows) if an item comes with free gift wrapping. You can also select your gift wrap option in checkout. What's the difference between free gift wrap and premium gift wrap? Our free gift wrap option is perfectly fine for that casual gift. But if you really want to 'wow' the recipient with an exquisite, memorable gift presentation, we advise you to select the premium gift wrap option. I placed an order with Normal Shipping - Can I expedite it? If you have not yet received an email notification that your order has been shipped, it may still be possible to change the shipping service on your order. Please call NOVICA Customer Service at 877-266-8422 (310-255-6586 if calling internationally) any time Mon-Fri between 9 a.m. and 6 p.m. Pacific time to speak to a representative. What is your Mother's Day return policy? 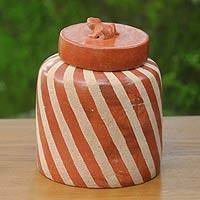 NOVICA welcomes the return of any item for any reason within 60 days of receipt. You may submit a Return Merchandise Authorization request (RMA) on our website, or call NOVICA Customer Service at 877-266-8422 (310-255-6586 if calling internationally) any time Mon-Fri between 9 a.m. and 6 p.m. Pacific time. At NOVICA, we want you to be completely satisfied with each and every purchase. We believe that the creation of a bridge between consumers and world artists depends on high quality products and extraordinary customer service. How do I return an item delivered within the U.S? Refunds will be available for up to 60 days from the day you receive your order. You must request a Returned Merchandise Authorization (RMA) number during this 60-day period to qualify for a refund. To request an RMA number, please log in to your myNOVICA account, visit the Orders &Returns section, and locate the order that contains the item(s) you would like to return. If your return is in any way a result of an error by NOVICA, we will provide you with a prepaid return label and will happily refund all applicable shipping costs paid on the product(s) you are returning. How do I return an item that was shipped outside the US? Refunds will be available for up to 60 days from the day you receive your order. You must request a Returned Merchandise Authorization (RMA) number during this 60-day period to qualify for a refund. To request an RMA number, please log in to your myNOVICA account, visit the Orders &Returns section, and locate the order that contains the item(s) you would like to return. If your return is in any way a result of an error by NOVICA, please be sure to indicate the nature of the error when requesting the RMA number and a member of our customer service team will provide you with further instructions. If the return is not a result of an error by NOVICA, you will be responsible for all shipping costs, duties and taxes incurred for the order and return of the product(s). You must send your return using a reliable international carrier that offers tracking (such as EMS, UPS, FedEx, TNT, or DHL). It is strongly recommended that you insure the package, as you will be responsible for ensuring that all items arrive at the Returns Center in their original condition. Can I return a gift? If you have received a gift from NOVICA and would like to return it, you may do so by requesting an RMA number via email at service@novica.com or by phone during the 60-day period following the original delivery date of the order. As soon as the return is received, we will issue you a Store Credit for the amount of the original order, less shipping charges, so that you may make a new selection from any of the offerings on the website. Please rest assured that we will not alert the person who sent you the gift to your return request. Can I reuse a promotion code? If the return did not result from an error by NOVICA, you will be unable to re-use the original promotion code. If you have used a promotion code on an order and later decide to return all parts of that order as a result of an error on NOVICA's part, we will gladly issue you a new promotion code for a future purchase on the site. Credit for returned products will be issued within 7 business days of receipt of the returned merchandise using the same form of payment originally used for the order (except where other arrangements have been made, as in the case of gift orders). At this time we are unable to accommodate exchanges. Refunds will not be available if the returned products have been damaged or altered in any way before arriving at the Returns Center. NOVICA is not responsible for loss or any costs incurred (including freight, duties and taxes, or import fees) for items returned without an RMA number or to any address other than a NOVICA Returns Center. No refunds or returns on custom orders. No refunds or returns on gift certificates. As a safeguard against potential abuse, NOVICA reserves the right to deny a refund to anyone who has made what we determine to be excessive returns. Please note that gift box charges are not refundable. Request a Returned Merchandise Authorization (RMA) number. For fastest service, please log in to your myNOVICA account, visit the Orders & Returns section, and locate the order that contains the item(s) you would like to return. If you prefer, you may also submit your RMA request via email. RMA Number and detailed return instructions are provided by NOVICA. If the return is the result of an error by NOVICA and the merchandise is being returned from an address in the continental United States, we will provide you with a prepaid return label. 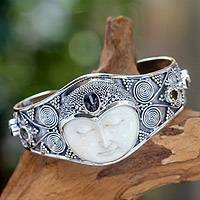 If the return is the result of an error by NOVICA but the merchandise is being returned from an address outside the continental United States, we will provide you with special instructions. In all other cases, the address for the nearest Returns Center will be provided. Returning the item(s) to NOVICA. Be certain to include your RMA number inside each package being returned. If you are responsible for return shipping costs, please use a trackable shipping service (UPS, FedEx, or Priority Mail within the US; EMS, UPS, FedEx, TNT, or DHL from outside the US) to ensure that all items are received at the Returns Center in good order. If you do not have a myNOVICA account or simply prefer to use email, you may also submit an RMA request by emailing our customer service team at service@novica.com. Please be sure to include your order number (which appears on your packing list), the name or Product ID of the product(s) that you would like to return, your name and email address, and the reason for the return (please provide as much detail as possible). You will receive a response from our customer service team with your RMA Number and any special return instructions, typically within one business day. For faster service, please consider submitting your RMA request through the Orders & Returns section of your myNOVICA account. I haven't received my order. Is it lost? Be sure to indicate the complete and correct shipping address when you are placing your order. NOVICA is not responsible for items that have not been received due to an incorrect address or change of address. If you have not received your order and would like to check the status, please contact our Customer Service Department at service@novica.com (be sure to note your order number and email address, and verify the correct mailing address). A member of our customer service team will check our records to determine when your order was processed and shipped. Please note that any claims related to non-receipt of merchandise must be made within 15 days of the shipment date or within 7 days of the delivery date reported by the carrier (where applicable), whichever came first. What happens if my item arrives damaged or incomplete? At NOVICA, your satisfaction is our priority. If you have received a damaged or incorrect item, or if part of your order is missing, please notify us immediately. 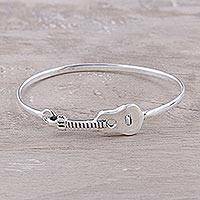 The best way to report any problem with your order is to log in to your myNOVICA account, visit the Orders &Returns section, and locate the order that contains the item(s) in question. If you prefer, you may also email our customer service team at service@novica.com to report a problem. In your message, please include your name, order number, and email address, and provide as much detail as possible about the situation. We will be happy to replace any damaged/incorrect items, assuming a comparable replacement is available, or provide you with a full refund, including all shipping costs. Any products that might be missing from your order will be shipped as soon as possible at no additional charge to you. Do keep in mind that if you ordered from multiple regions, you will be receiving multiple packages. Please double check that the product or products that you believe to be missing from your order were not ordered from a different region than those products that you have already received. and artisan group we'd love to hear from you! This privacy statement discloses the privacy practices for www.novica.com. If you have questions or concerns regarding this statement, you should contact our customer service department by email at service@novica.com. NOVICA wholeheartedly respects your privacy. The sole owner of all personal information collected at this site is NOVICA, and NOVICA will NEVER rent or sell your personal information to any third party. When you visit www.novica.com, we collect some basic information in order to enhance your experience navigating the website. The information collected and stored by NOVICA includes products purchased, feedback from visitors, location data, logs and other communication data, information about your computer and internet connection, including your IP address, operating system and browser type. This information is then aggregated with other pieces of information to improve our site and make your experience on the site as valuable and efficient as possible. Pages of the site may use devices that permit us to count users who have visited those pages and for other related website statistics. If you purchase an item online from NOVICA, interact with www.novica.com by submitting feedback, opt to receive the NOVICA Journal by email or write a product review, you provide us with personally identifiable information including your first and last name, billing and shipping addresses, telephone number, and email address. While your credit card information is also collected at the time of purchase, only the last four digits are stored on NOVICA's server. Credit card information is sent directly to DigiCert's secure server, and that is where it is safely held. Because NOVICA collects personal information through a secure server that features the latest encryption technology, you can be assured that none of your information will be viewed by anyone outside of NOVICA and DigiCert (please see the Credit Card Security section for more information). Furthermore, all shipping labels are pre-printed at NOVICA's regional offices, so none of your personal information is held or stored by any of the shipping companies that are used to deliver NOVICA's orders. The personally identifiable information you provide to NOVICA will be used to process your order. You will only be contacted by NOVICA if you place an order or if there is a problem with your order. By placing an order you will automatically receive the NOVICA Journal by email, but you can always change your email preferences if you wish to be removed from our list by simply emailing us at remove@novica.com. You may also update or change the personal information NOVICA has collected by sending an email to service@novica.com. This page will be immediately updated should there be any changes to NOVICA's Privacy Guarantee. Third party advertising companies may use non-personally identifiable information (e.g., click stream information, browser type, time and date, subject of advertisements clicked or scrolled over) during your visits to this and other Web sites in order to provide advertisements about goods and services likely to be of greater interest to you. These companies typically use a cookie or third party web beacon to collect this information. These third party cookies do not collect personally identifiable information. Cookies are bits of information that allow a website server to associate you with the specific products that you have added to your shopping cart. Web Beacons are electronic files used to track your navigation a website or collection of sites the completion of transactions, submittal of applications and browsing behavior. We use third-party advertising companies to serve ads when you visit www.novica.com. These companies may use information about your visits to this and other Web sites in order to provide advertisements about goods and services of interest to you. If you would like more information about this practice and to know your choices about not having this information used by these companies, visit http://www.networkadvertising.org/. We may share your personally identifiable information and non-personal information, including your name, address, email address and any transactions you conduct on our website or offline with us with a trusted third party advertising partner and its service providers in order to deliver tailored advertising to you that match your interests when you visit our website. Our trusted advertising partners will anonymize the data that we transfer via secure encryption ensuring that no one else will receive your personally identifiable information and that the anonymous data cannot be reverse engineered to reveal any consumer's identity. You may opt-out of the use of your information for tailored advertising purposes. To learn more about the use of this information or to choose not to have this information used by our third-party advertising partner by opting out please visit the Network Advertising Initiative by clicking here. If you delete your Cookies, use a different browser, or buy a new computer, you will need to renew your opt-out choice. 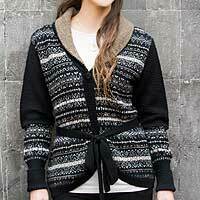 NOVICA does not knowingly collect any personal information from children. On the menubar, click the Edit menu and select "Preferences...". When the Preferences screen opens, click on the "Advanced" category and select the "Accept All Cookies" option in the box labeled Cookies. Click the OK button to close the Preferences screen and return to the browser. On the menubar, click Options and select "Network Preferences". When the Network Preferences screen opens, click on the Protocols tab. In the box titled "Show an Alert Before", unclick the checkbox for "Accepting a Cookie"
Click the OK button to close the Network Preferences screen and return to browser. On the menubar, click the View menu and select "Internet Options..."
When the Internet Options screen opens, select the "Advanced" tab. Scroll down to the yellow exclamation icon next to "Cookies" and select the "Always accept cookies" option. Click the OK button to close the Internet Options screen and return to the browser. On the menubar, click the Tools menu and select "Internet Options..."
When the Internet Options screen opens, select the "Security" tab. Scroll down to "Cookies" and select "Enable" for both stored and per-session cookies. Click the OK button twice to close the Internet Options screen and return to the browser.